Did I mention I like cream cheese? Man, two cream cheese related posts in one day. 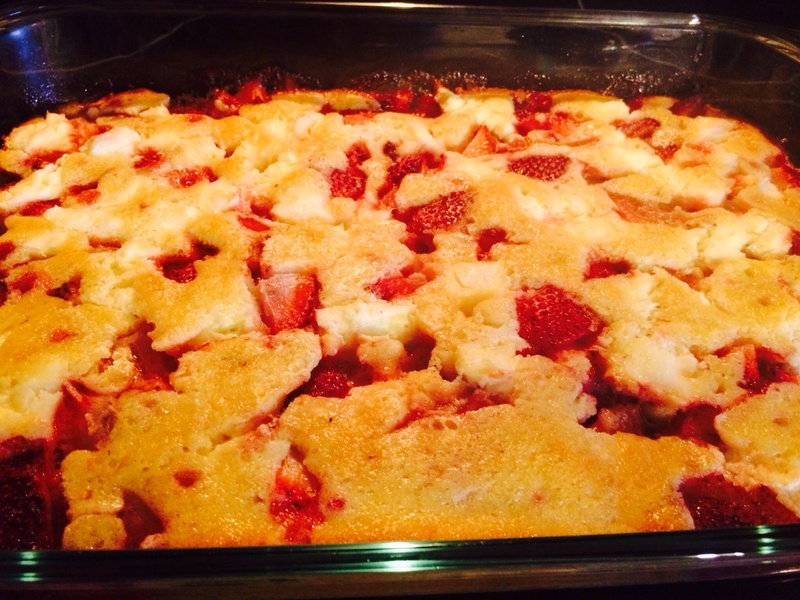 I want to end this fabulous first Father’s Day with strawberry cream cheese cobbler! Check out your local strawberry farms for cheap strawberries by the quart! 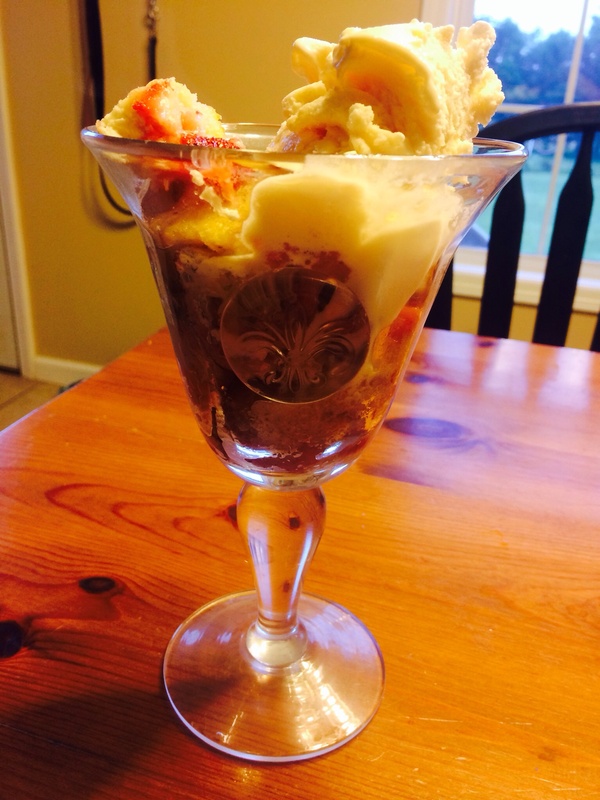 Don’t forget to top this dessert with vanilla bean ice cream to send you to pure cream cheese bliss. Preheat oven to 350. Melt butter and pour into a 9X13 inch pyrex dish.